Edvard Munch, Sommernacht im Studentenhain (Summer Night in Studenterlunden), 1899. Pérez Simón Collection. © 2018 The Munch Museum / The Munch-Ellingsen Group / Artists Rights Society (ARS), New York. Di Donna Galleries announces a rare glimpse into the renowned private art collection of Juan Antonio Pérez Simón with the exhibition A Passion for Collecting: Modern Works from the Pérez Simón Collection, to be held from September 13 to October 12, 2018. 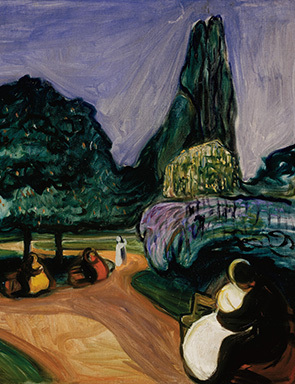 This exhibition presents highlights from the collection representing major episodes in the history of modernism, with paintings by Georges Braque, Paul Cézanne, Salvador Dalí, Paul Delvaux, Fernand Léger, René Magritte, Joan Miró, Edvard Munch, Pablo Picasso, Camille Pissarro, and Mark Rothko. 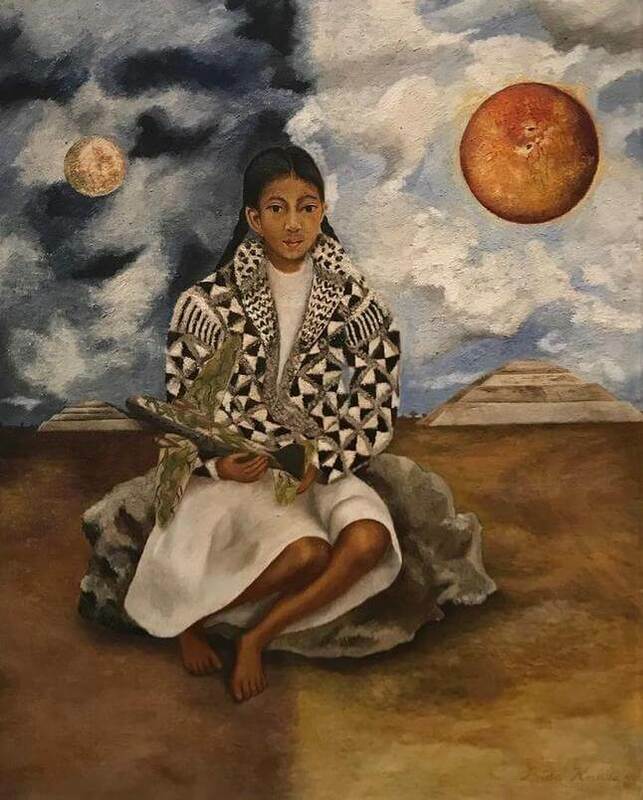 A Passion for Collecting: Modern Works from the Pérez Simón Collection will feature a curated selection of approximately eighteen works that travels to Di Donna Galleries from Mexico, where Mr. Pérez Simón is one of the country’s most successful entrepreneurs. 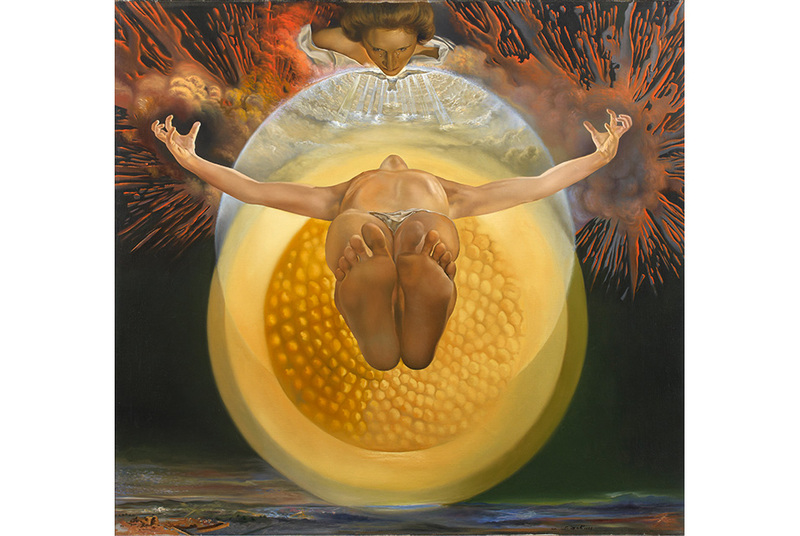 There, over the span of more than four decades, Pérez Simón has assembled one of the largest and most comprehensive private art collections in the world, encompassing Old Master paintings, Dutch vanitas, Pre-Raphaelite paintings, Latin American art, and European modernism, to mention only a few areas within his vast scope of interest. Portions of the collection have previously been shown in various cities in Europe, Asia and America, including Madrid, Paris, Rome, London, Beijing, Shanghai, Quebec, Dallas and San Diego. A Passion for Collecting: Modern Works from the Pérez Simón Collection at Di Donna Galleries will offer the first opportunity to experience the collection in New York. The exhibition will be accompanied by a catalogue featuring an essay on the significance of these works within the context of an art-historical narrative, with full cataloguing and illustrations for each work. As the earliest work in the exhibition and a reference to mythic bathing scenes from classical antiquity, Cézanne’s Scène légendaire (c. 1878), establishes a foundation for considering artistic interpretations of timeless themes. 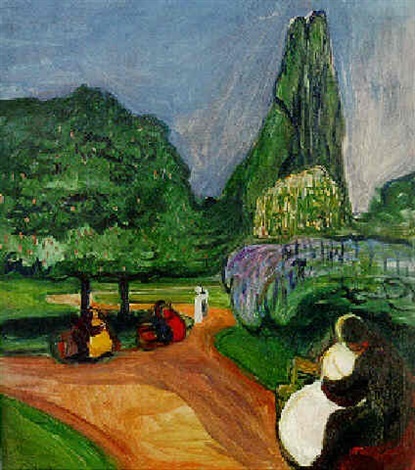 The Edenlike setting seen in that composition assumes a very different tone in Munch’s painting Sommernacht im studentenhain (1902), in which embracing couples are arranged around a dramatically landscaped park. Though the subject literally depicts human intimacy, the anonymity of the figures and the large void confronting the viewer at the center of the composition communicate a sense of alienation. 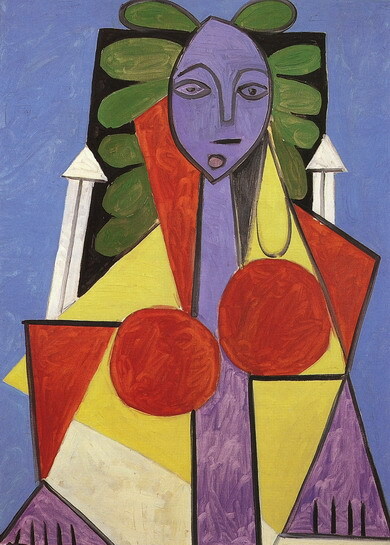 By contrast, Picasso’s portrait of his girlfriend Françoise Gilot sitting in an armchair (Françoise dans un fauteuil, 1949) is arranged on an emphatically frontal plane, in primary colors and with a centralized geometric structure—a bold representation that nevertheless captures the sitter’s likeness with remarkable sensitivity. A group of paintings by Magritte in the exhibition reveals the artist’s skill as a colorist throughout a range of scenes that challenge experiential knowledge, drawing into question the certainties of life in the physical world. In an untitled red and white painting on paper by Rothko (1959), color and ambiguous, floating forms transport the viewer further from concrete associations, to convey transcendence of earthly concerns.